An international study on the development of the Great Barrier Reef in Australia found that the world's largest reef system has had nearly five near-death experiences in the last 30,000 years. During this time, the reef has witnessed all sorts of problems such as abrupt changes in the environment, sea level rise and fall and associated temperatures, and an increase in sediment. To understand the development of the reef system over 30 millennia, the team collected geomorphological, sedimentological, biological and geochronological information from 16 fossil reef cores in North Queensland, Australia. The data revealed sea levels in the period prior to the "Last Glacier Peak", the reef gradually declined and the reef suffered two major deaths – 30,000 and 22,000 years ago. These events, primarily caused by the action of the air, caused the reef to move seaward to survive and cope with sinking sea levels. However, after the glacier maximum 20,000 years ago, de-icing began and sea levels increased. This rapid change led to the next two near-death experiences for the reef 17,000 and 13,000 years ago. In this case, however, the reef moved landward to survive. The last reef-death event happened about 10,000 years ago, but not due to sea-level rise or fall. As the researchers said, the reef in this particular case has been plagued by massive sediment growth, poor water quality and general sea level rise. "The reef could bounce off past death events during the last death events from glaciation and de-icing," said Jody Webster, lead author of the study, in a statement. "However, we found it also very sensitive to increased sediment input, which is important given current land-use practices." The authors of the paper emphasized that recovery in the past was successful due to the continuity of reef habitats, coral and coral algae, and the reef's ability to move one meter each year. 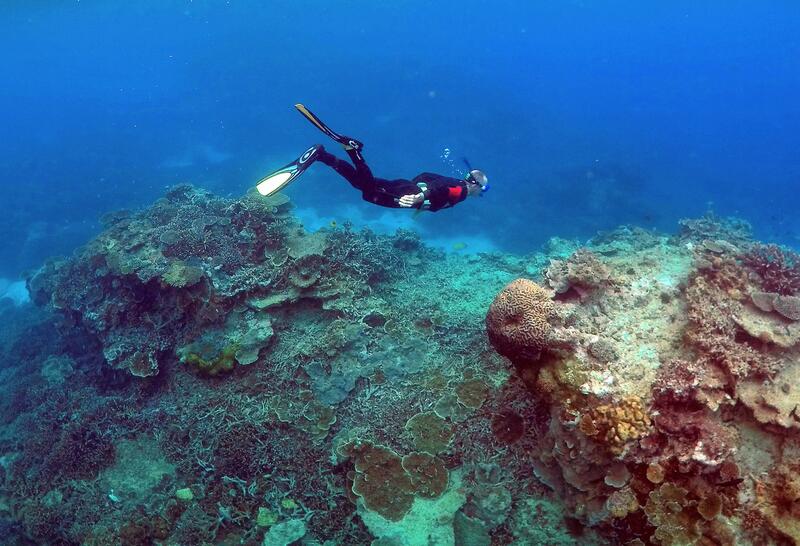 However, they believe that this pace will not be enough to meet the challenges the reef is currently facing. "I have great concerns about the ability of the reef in its current form to emphasize the speed that is caused by the many currents and to project them into the near future," Webster said in the statement. He added that it was unlikely that the reef would be able to cope with the current rate of sea surface temperature rise and coral acidification and the alarming levels of bleaching. "Our study shows that the reef has not only responded to sea-level changes but has also been particularly sensitive to sediment flows in the past, and that means we need to understand in the current period how the practices of the Primary industry impacts sediment input and reef water quality. "